Vijay and Keerthy Suresh's Sarkar, which was released for Diwali, has emerged victorious at the Tamil Nadu box office. Vijay's Sarkar has completed its four-week run in theatres and has entered its fifth week with a bang. Despite being affected by Rajinikanth's 2.0, the AR Murugadoss-directorial has managed to run in a number of screens in Tamil Nadu. The film was released in over 650 screens for Diwali. The movie grossed a record-breaking Rs 31.6 crore on its opening day. Mixed reviews did not impact the film much as it did stupendous business in the next few days. The controversy around a few dialogues and scenes gave worked to give it free publicity. As a result, the movie ended its six-day extended first weekend with a collection of Rs 91.8 crore at the Tamil Nadu box office. The movie did not have much competition from other language movies and it helped Sarkar do good business over the next few weeks. Till 2.0, the Vijay-starrer ruled Tamil Nadu box office. 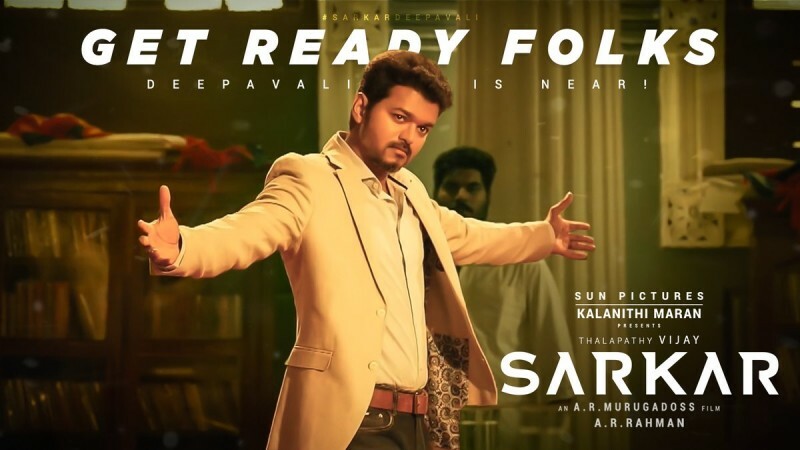 By the end of its fourth weekend, the total gross collection of Sarkar stands at Rs 117 crore in Tamil Nadu. It was said that the flick might cross the Rs 125-crore mark earlier, but it looks highly unlikely at this point. The movie has turned out to be the highest-grossing movie of the year in Tamil Nadu. It has to be seen whether Rajinikanth's 2.0, which has earned less than Rs 75 crore in the state, will surpass the collection of Sarkar. Sun Pictures-produced Sarkar is a political thriller that tells the story of an NRI taking on the corrupt political system. There are dialogues that take potshots on the freebie culture perpetuated by the state government to woo voters. This landed the flick in trouble as the ruling AIADMK government took offence to it.